But did that convince us she was loyal or honest, babe? No. In fact, rather the opposite. It was her actions – staying true while Josh was in Casa Amor, leaving the villa with Sam – that eventually won us over. 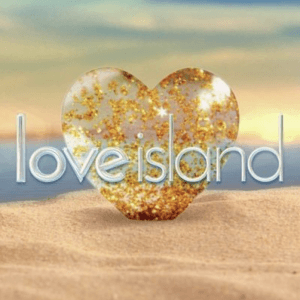 Although some may not like to admit it, employers are no different to Love Island viewers. They need evidence to be convinced. So what can you do? Well, it’s wise to use employer language in applications. If your target employer has asked for leadership skills, explicitly tell them when you’re talking about leadership skills. It makes their job easier. But rather than simply declaring what a fantastic leader you are in your own opinion, why not provide examples of how you used your leadership skills, and what you achieved with them? This evidence-based approach will help you feel more comfortable promoting yourself, and the employer feel more comfortable believing you. Laura, Laura, Laura. Our hearts have broken for you not once but twice. Should you regret your missteps? Should you lament moments spent with Wes and New Jack as wasted time? No! For through those relationships you learned what you do not want, and that allowed you to see what you dowant – a mature carpenter and model who has kissed Britney Spears – more clearly. *If my boss is reading this then obviously I’m totally jokingscenario many people have limited experience with, especially in the earlier stages of their careers. So when you have an interview coming up, we advise getting as much practice as possible. Set up mock interviews with your friends and family, especially those who have knowledge of interviews and/or the field you’re entering. And book a mock interview with one of our careers consultants (if you are at UCL, or contact your own University Careers Office), who can help you role play in a safe setting, and then provide feedback to improve your performance for the real thing.